On arrival , assistance and transfer to hotel. Afternoon half day city tour of Delhi, visitingLaxmi Narayan Temple , Hanuman Mandir , Gauri Shankar Mandir , India Gate andChattarpur Mandir. Overnite at hotel. Drive to Mathura  city associated with the most revered of Hindu Gods  Lord Krishna ,which is sacred being the birth place of Lord Krishna. The surroundings  Braj Bhoomi  iswhere Lord Krishna is supposed to have grown up. On arrival , check in at hotel. Afternoon visit Vrindavan , where Lord Krishna spent his childhood days , played the flutesporting with the Gopis and where Radhika pined for her lover. Visit the Govind Dev Temple built in 1590 and a testimony to the architectural splendour of medieval India. Proceed toRangaji Temple  Vrindavans longest temple constructed in 1851 with a 50 feet tall Dhwaja Stambha  believed to be gold  plated. Continue to Madan Mohan Temple situatednear Kali Ghat , Glass Temple and the Bankey Bihari Temple  one of the oldest templesbuilt in 1921. Overnite at hotel. Drive to Gokul where Nand Gopal was sheltered in Yashoda Maiyas home in secrecy toescape the wrath of tyrant Kansha. Also visit Gokul Nath Ji Temple. Proceed to Mahavan  believed to have cradled Lord Krishna. 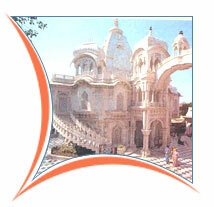 Visit Assi Khambha thetemple dedicated to Mathura Nath Ji. Continue to Goverdhan  where Lord Krishna heldaloft Giriraj , the sandstone hill on his finger for seven days and nights to protect thepeople of Braj from the wrath of rain and thunder sent by Indra. Return to Mathura. Morning visit Nand Gaon  the house of Lord Krishnas foster father Nand , in whosememory stands the 19th century temple. A little beyond is Pan Sarovar  one of the fourmost celebrated lakes in Braj. 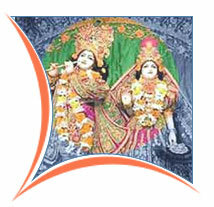 Continue to Barsana  the birth place of Radha  withtemples in reverence of Ladliji ( Radha ) . Also visit the water tank  Prem Sarovar  ,the first meeting place of Radha  Krishna. Overnite at hotel. Drive to Agra ( 57 kms/01.50 hrs ). Visit Taj Mahal , Agra Fort and the tomb of Itmad  Ud  Daullah. Proceed to Delhi ( 203 kms/05.00 hrs ). On arrival , check in at hotel.